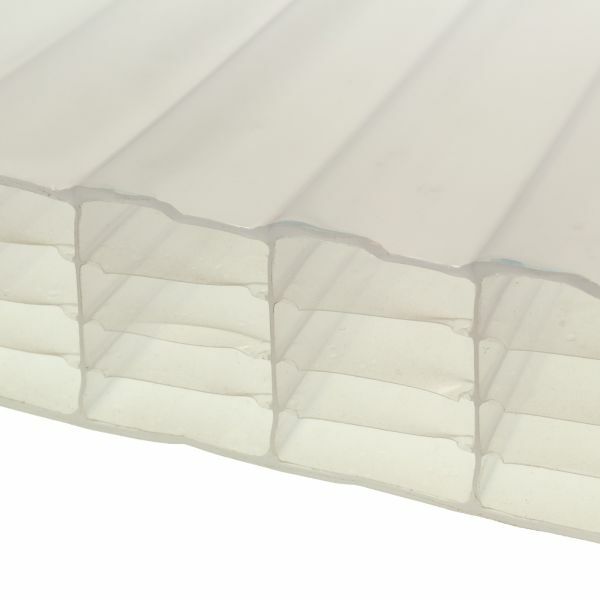 Product information "25mm Opal Multiwall Polycarbonate Sheets"
Lightweight, tough and thermally efficient roofing panels! Opal-tinted multi-wall polycarbonate allows light in to keep it bright but reduces solar gain concentrating on one area. Eliminates uncomfortable hot-spots, creates softer light quality and provides privacy. 25mm polycarbonate sheets are great for conservatory roofs, canopies, atriums, industrial roofing and many more applications. For small applications, such as carposts, pergolas and greenhouses, a thiner 10mm or 16mm polycarbonate may suffice. 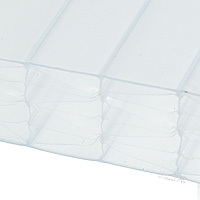 Polycarbonate is a great insulator that also reduces condensation and diffuses light. It can also be more energy efficient than glass of a comparable thickness and up to 50% cheaper. Related links to "25mm Opal Multiwall Polycarbonate Sheets"
Customer review for "25mm Opal Multiwall Polycarbonate Sheets"